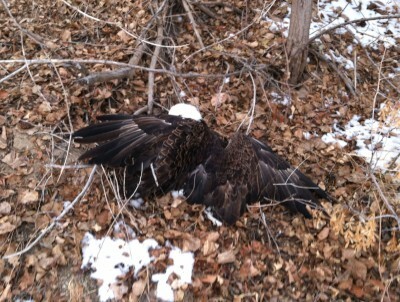 Bald eagle found dead during Utah West Nile Virus outbreak. 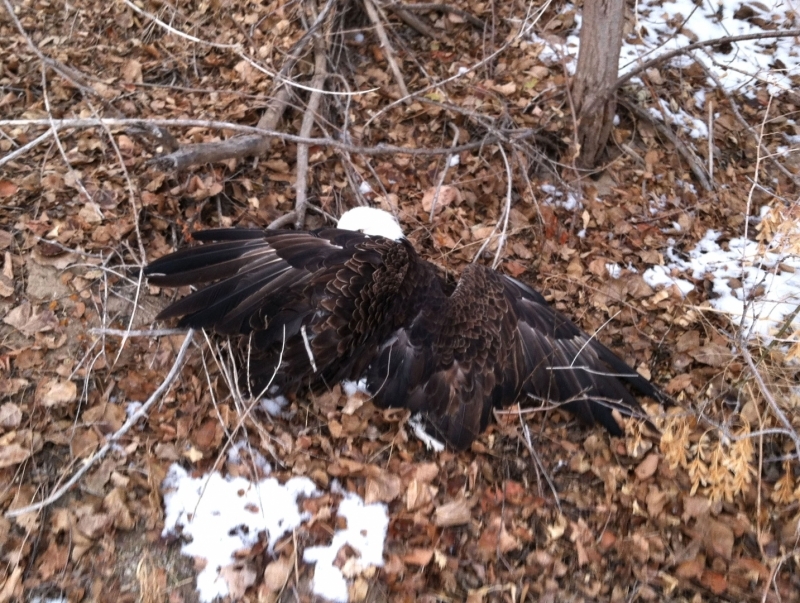 Photo courtesy of the Utah Division of Wildlife Resources. Scientists from the U.S. Geological Survey (USGS) diagnosed West Nile Virus (WNV) in numerous eared grebes and bald eagles that died in a 2013 mortality event in the Great Salt Lake. Diagnoses were based on findings during pathological analysis to determine cause of death, including molecular detection of WNV genetic material in tissues, and isolation of WNV from multiple tissues from each bird. There was no evidence of the presence of other infectious diseases. West Nile Virus is carried by mosquitos and infects humans, domestic animals, and wildlife. In wildlife, WNV typically kills scattered individuals of susceptible species in late summer and early fall. The Great Salt Lake is a major water bird migration site, and in November and December 2013, the Utah Division of Wildlife Resources estimated that 10,000 to 20,000 of the 2 million eared grebes (Podiceps nigricollis) that were on the GSL during migration died and 85 of the 750 to 1,250 bald eagles (Haliaeetus leucocephalus) were found sick or dead. This is the first report of a WNV mortality event of this size, the first report of WNV in eared grebes, and only the second report of a WNV event in winter. West Nile Virus infection in bald eagles is also uncommon. The circumstances of this unusual WNV mortality in grebes and eagles may involve increased infectivity or pathogenicity of the virus, or unusual environmental conditions. Further studies to identify the causes of a mortality event of this magnitude are ongoing. West nile virus transmission in winter--The 2013 Great Salt Lake bald eagle and eared grebes mortality event: PLOS Currents Outbreaks, April 18, 2014, doi:10.1371/currents.outbreaks.b0f031fc8db2a827d9da0f30f0766871.